Next up in this weeks picks from the upcoming Philadelphia Art Star Craft Bazar is… Phil Barbato. 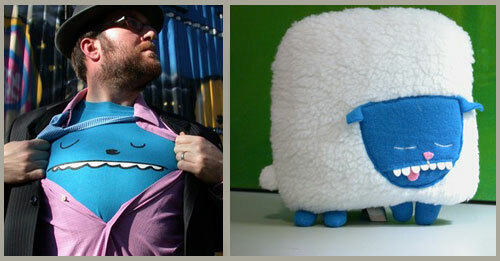 Phil makes so many awesome things, from shirts, to prints, to little stuffed monsters. This guy is sure to be hit this weekend with the young and young at heart. I’m really looking forward to checking out his work in person, and I think that bear shirt has Matt’s name written all over it! 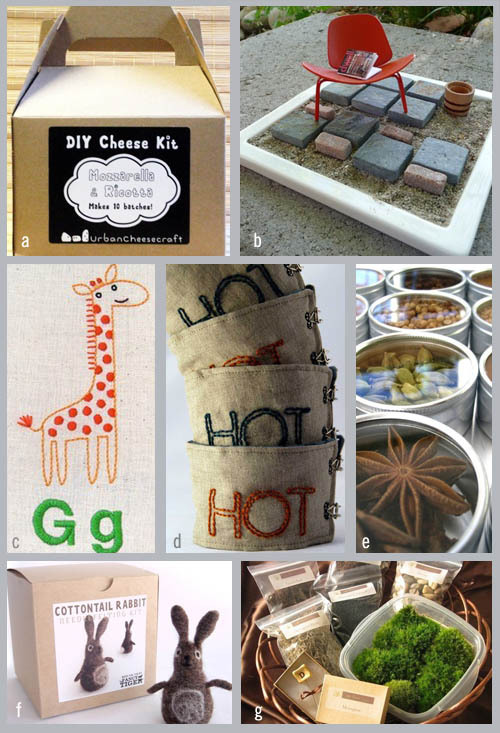 Fidoodle makes some really amazing objects fro children. 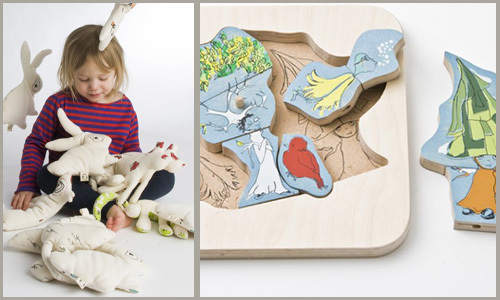 Centered around the art of storytelling, their objects are sure to entertain both young and old alike. Their illustration style is whimsical and quirky while remaining both age and gender neutral. 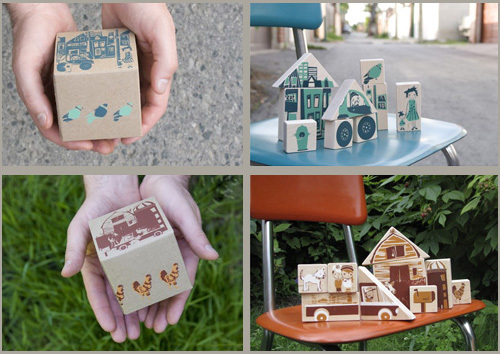 I would love to have a set of their mini city blocks to adorn my bookshelf, but i also want to buy a set to send to my cousin who just had her first child. All of the Fidoodle goodies are of course handmade with natural materials and non toxic ink so there’s nothing stopping the little ones from putting the occasional block in their mouth. Fidoodle is another one of those little companies that just makes me smile. This is seriously awesome! 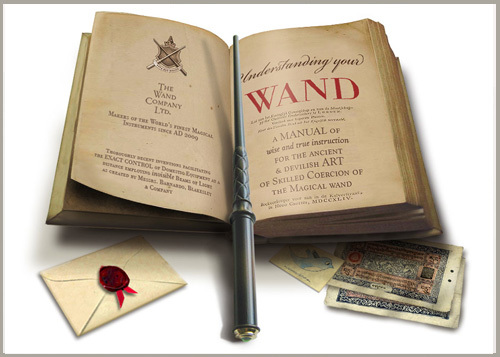 The kymera magic wand is a must have for all of those fantasy bookworms. This little device can control a variety of your electronic devices without any buttons. Just a flick of the wrist and you can chnage channels, skip a song or even turn the volume up for you can watch your favorite Harry Potter movie in style. Granted this gift would be fun for the kids it would also look pretty cool as the only “remote” on your coffee table. Does your son love pizza? Or maybe your niece loves to play tennis. 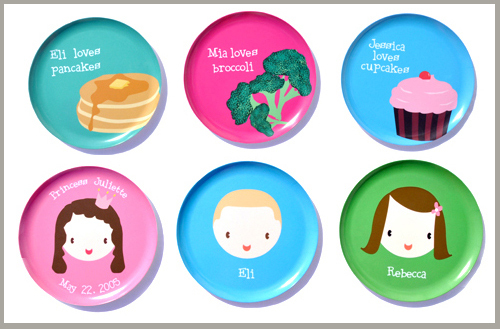 Check out these customizable plates from Alphabet plates. There are sport designs, favorite foods, or just a cartoon version of your favorite wee one. It’s such a simple process, just pick and choose your design and type in your little ones name. I would have loved these growing up. 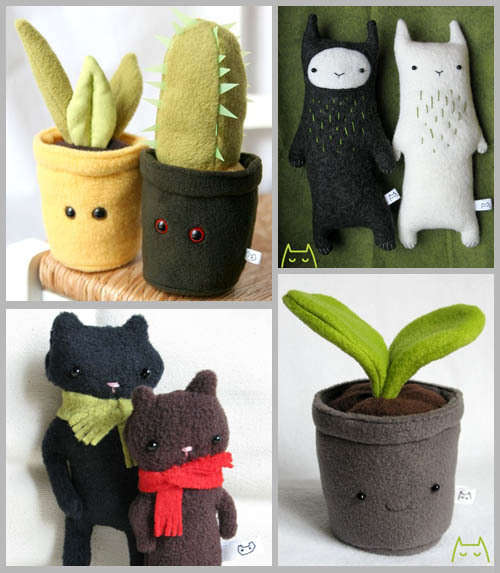 If you don’t think these are adorable I don’t know if we can ever be real friends. 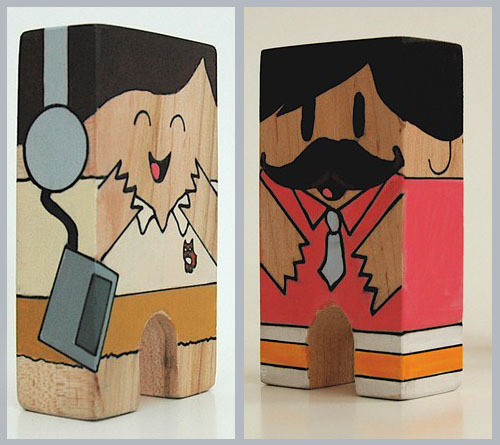 These painted wood toys from bubblesinburry are amazing! And don’t worry parents these wood toys are finished in non-toxic materials so it’s okay to let your kids play with them too. I personally would probably just put them on on a shelf and admire them from afar. I love the retro look to them as well, complete with old school tape players painted on their sides. And just in case you haven’t fallen in love with one, they are also open to custom orders, I’m thinking wedding cake toppers! Why has no one thought of this before? I love, love, love the official tooth fairy kit by Notion Farm. A beautiful way to record a precious childhood memory. The kit contains a beautiful letter-pressed certificate of Record to file with your local tooth fairy and a screen-printed cloth bag for your past and future tooth deposits. You can now keep track of the age the tooth was lost, method of extraction and compensation for said tooth. Can’t wait to see who is going to stock these amazing memory collectors.